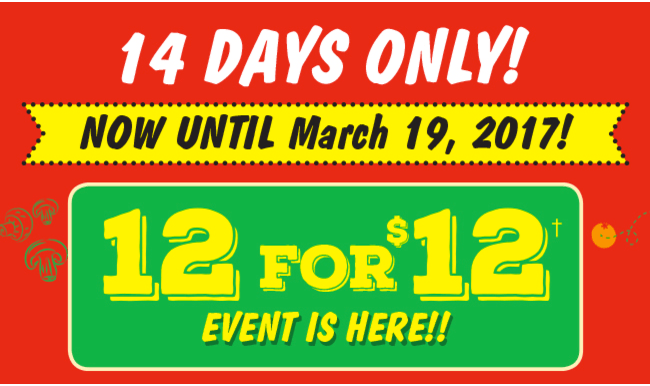 East Side Mario’s Canada 12 For Only $12 Event Promotion! 12 for $12 is Back! East Side Mario’s Canada has a great deal for you! Enjoy any one of 12 entrees for just $12! This deal may not sound that great, but it also includes all-you-can-eat soup or salad and garlic home loaf which makes it so much better! This offer is available now until Sunday, March 19, 2017.